Two minds working together as one, united by a shared passion, a common vision and the drive to make their dreams a reality. Vocalist Stéphane Fradet and guitarist Grégory Giraudo came together with the goal of creating an incredible heavy metal band; a band that would know no boundaries and accept no rules. Their band would combine the crisp, precision riffing of thrash metal with the soaring melodies and fleet-fingered solos of classic metal; it would marry musical muscle and aggression with a real depth of emotion and sit sincere ballads next to sprawling epics and surround them both with steel clad metal attacks. 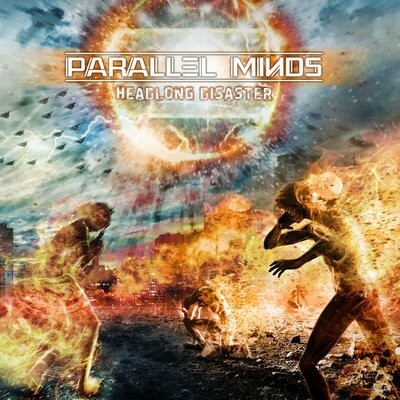 Conceived by two minds working together, each bringing an individual creativity to the mix, the name of their band was obvious...Parallel Minds. Recruiting ex-Dagoba drummer Franky Costanza to assist them, Stéphane and Grégory set about recording the first Parallel Minds album, Headlong Disaster, which would be released in the spring of 2015. Headlong Disaster sent shockwaves through the scene, with Metal Gods TV declaring it a “spectacular roller coaster ride of awesome music.” An EP, Unplugged Disaster and a single, Spanish Disaster, followed that same year and then Parallel Minds stepped back from the spotlight to begin writing for their second album. Antoine Moutet was recruited on bass duties and Franky Costanza passed on the drumsticks to one of his most talented students, Eric Manella. 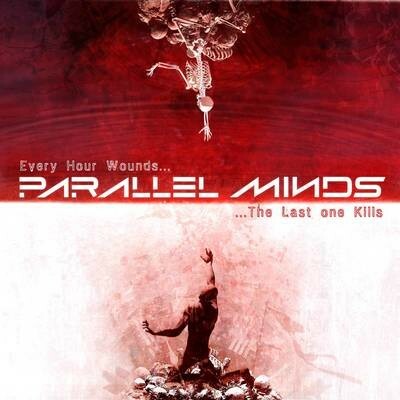 With their new dedicated team in place Parallel Minds entered the studio...They emerged with their second full length album, the stunning Every Hour Wounds...The Last One Kills. This new album brings all the elements that Stéphane and Grégory first envisaged for Parallel Minds together in spectacular fashion – all the power and passion, the exquisitely executed musicianship, the thrills and adrenaline, the potent emotion...everything that makes metal great! When Pitch Black Records heard these songs they immediately offered Parallel Minds a deal and now, on April 5th Every Hour Wounds...The Last One Kills will be unleashed on both CD and digital formats. The epic grandeur of album centre piece ‘Syria’ features guest vocals from Kobi Farhi (Orphaned Land) and Yossi Sassi (Yossi Sassi Band and ex-Orphaned Land) and one of two bonus tracks on the CD edition of the album is an immaculate cover of the Savatage classic, ‘Tonight He Grins Again’.If you love metal, if its essence lives in your heart and soul, then Parallel Minds are the band for you and Every Hour Wounds... is an album you need to hear!